Gareth Maybin in action in Dubai this week. 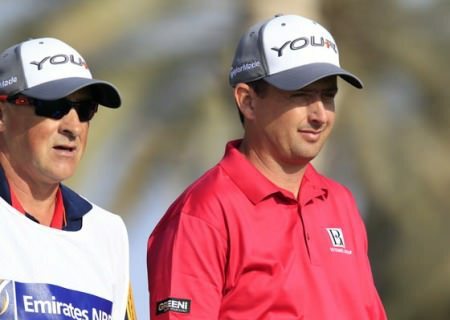 Picture by Eoin Clarke/www.golffile.ieGareth Maybin fired his three successive round in the 60’s but still found himself 10 shots behind a Tigeresque Stephen Gallacher heading into the final round of the Omega Dubai Desert Classic. The Ballyclare man birdied four of his last six holes for a three under 69 that left him tied for 10th on 11 under par as Peter Lawrie (71) slipped to 25th on nine under with Damien McGrane (73) in joint 63rd on three under. Victory would require something truly outstanding by Maybin and Scot Gallacher, at least, looks almost uncatchable after he holed a bunker shot for an eagle three on the last hole of the third round for a ten under par 62 and a three shot lead over South African Richard Sterne (66). Gallacher’s 21 under par 54-hole total is the lowest in the event’s history, beating by one the record set by Tiger Woods in 2001. Sterne birdied the last for a six under par 66 while young Dane Thorbjørn Olesen had a 67 to lie third, another two shots back on 16 under with Lee Westwood (66) nine shots back in ninth. Describing his finish, Gallacher said: “With my second shot I was right on the limit for a rescue club, so I decided to hit a three wood into the trap behind the green. When I hit the bunker shot I knew it was either stiff or in. It was a brilliant way to finish. “I putted really well today and drove the ball very well. My driver cracked last week so I’ve been working really hard with the new one and it’s paying off. I’m hitting more fairways, and you’ve got to play these courses from the fairways. Sterne, who also had a 62 in the opening round, said: “I’ve shot 66 and I’m three behind, which unfortunately can happen in this game. I’ve given myself a chance going into tomorrow, and hopefully it will be a lot of fun and I can put some good scores in to put some pressure on Stephen. 215 T Lewis (Eng) 69 72 74, T Levet (Fra) 68 70 77. Michael Hoey mistakenly headed for home and bizarrely missed the third round of the Made in Denmark event but Ballyclare's Gareth Maybin is flying high and just three shots behind Marc Warren and Bradley Dredge heading into the final day at Himmerland Golf & Spa Resort. Darren Clarke showed signs of life with a 67 but as Hennie Otto took a two stroke lead into the final round of the 71st Open d’Italia, Stephen Gallacher’s bid to steal the last available qualifying place on Europe’s Ryder Cup team looks likely to go to the wire. Stephen Gallacher returned to the winner’s circle in Dubai. 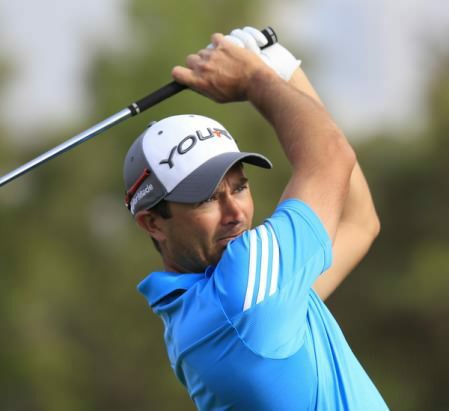 Photo by Getty Images.Gareth Maybin claimed his biggest pay cheque since last May when he finished tied for 12th behind Scotland’s Stephen Gallacher in the Omega Dubai Desert Classic. McGinley - "Rory is being asked to offend someone and that’s not right"